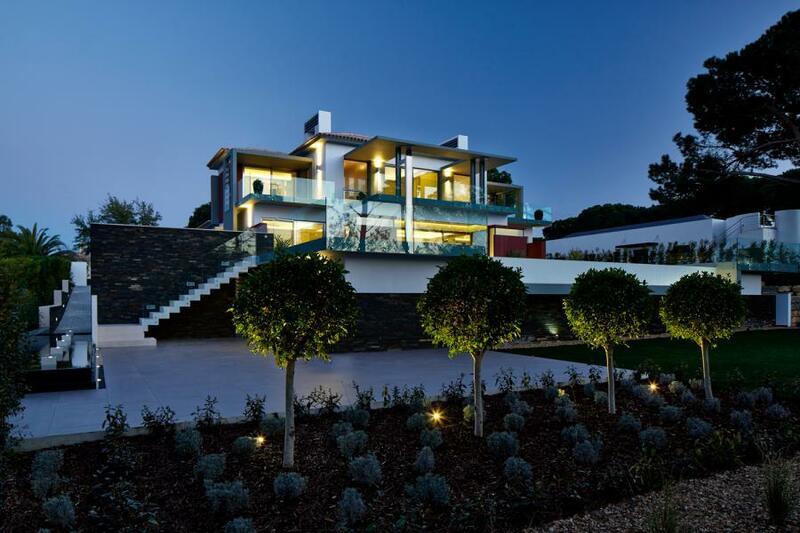 A stunning contemporary villa with wonderful golf views in one of Europe’s most prestigious resorts. 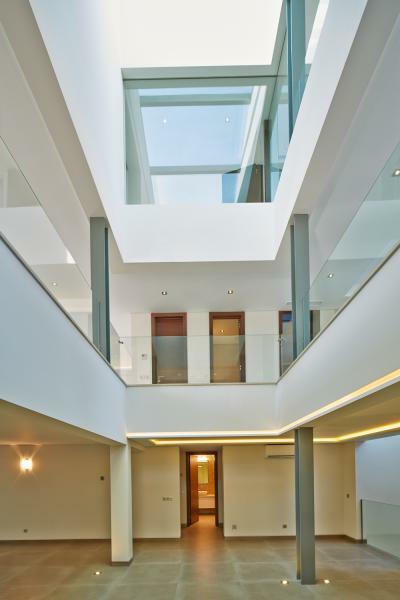 Comprising 6 bedrooms over 3 levels, beautifully proportioned open plan living, garaging for 7cars with flexible additional basement space and extensive covered terraces. 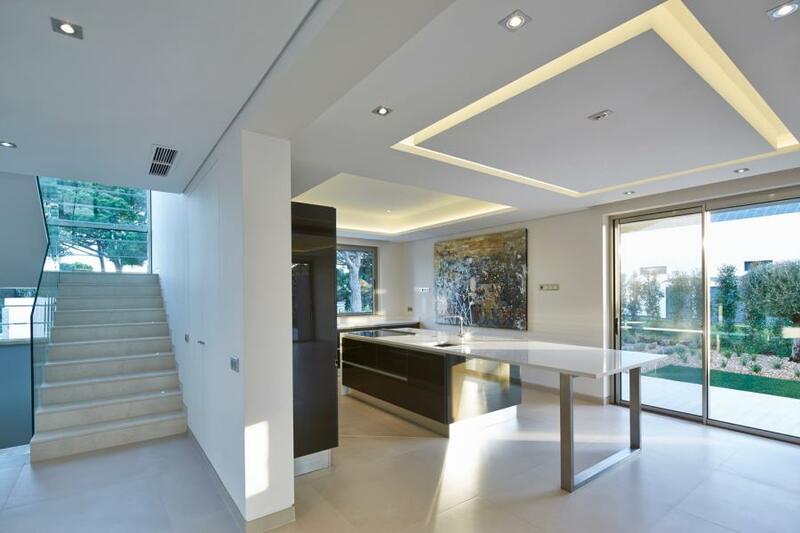 Located on a quiet cul‐de‐sac within walking distance of leisure facilities and a short drive to Quinta shopping and a wide choice of restaurants. 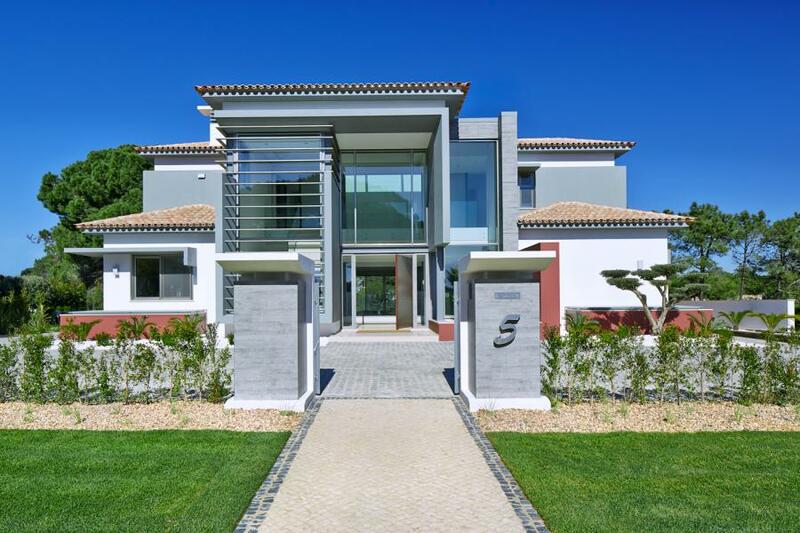 The impressive gated entrance and gentle driveway lead to contemporary landscaped gardens surrounding the villa. 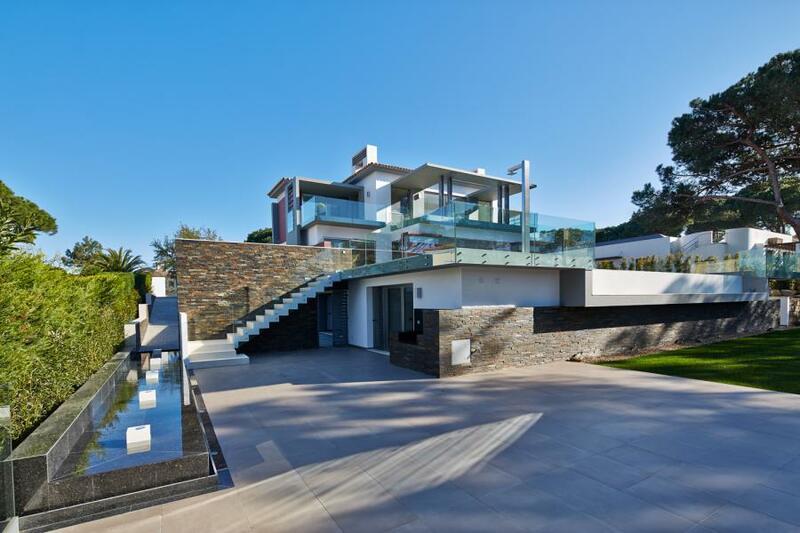 The spectacular white tiled infinity pool has steps leading down from the pool area to an external dining and entertainment terrace, kitchen, cloakroom, BBQ and water feature.